CROATICA CHEMICA ACTA (Abbrev. : Croat. Chem. 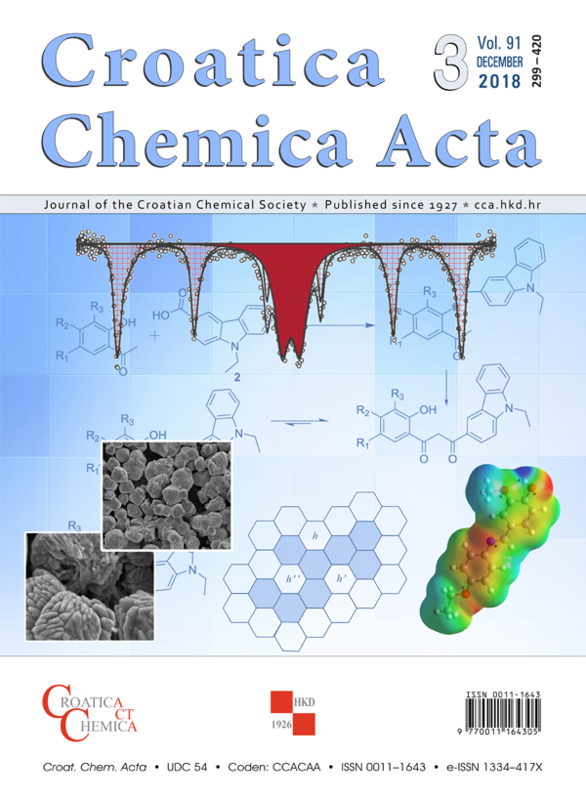 Acta) is an international journal devoted to the publication of papers from all fields of chemistry. Four issues are published annually. It is published by the Croatian Chemical Society, with co-publishers Faculty of Science, University of Zagreb, and Ruđer Bošković Institute, Zagreb since 1927 (under different titles). Editor-in-Chief: Prof. dr. sc. Olga Kronja, Department of Organic Chemistry, Faculty of Pharmacy and Biochemistry, University of Zagreb. All Issues since 1985 are available online, free of charge, archived in the Hrčak, a common platform for Croatian Open Access journals, managed by the University Computing Centre SRCE. CROATICA CHEMICA ACTA publishes Original scientific papers, Notes, Preliminary communications, Author’s reviews, Reviews, Feature articles, Conference papers, Essays and Data bank contributions. In the appendix, the Journal publishes Letters to the Editor, Book reviews, Obituaries and Croatian Chemical Society news. CROATICA CHEMICA ACTA is supported by the Ministry of Science, Education and Sports of the Republic of Croatia and to some extent the funds are provided by subscriptions and advertisements.